You've seen a few ColourLover-inspired designs here before. 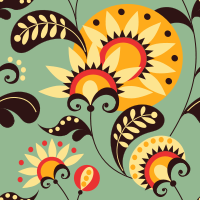 If you're new, or don't recall, ColourLovers is a fantastic site to browse color palettes and patterns. It's my go-to for inspiration. Every Tuesday, an email to members is distributed, which they call Happy Huesday. They feature six or so popular patterns in the emails. Yesterday, I liked one so much I decided to make it into a manicure. 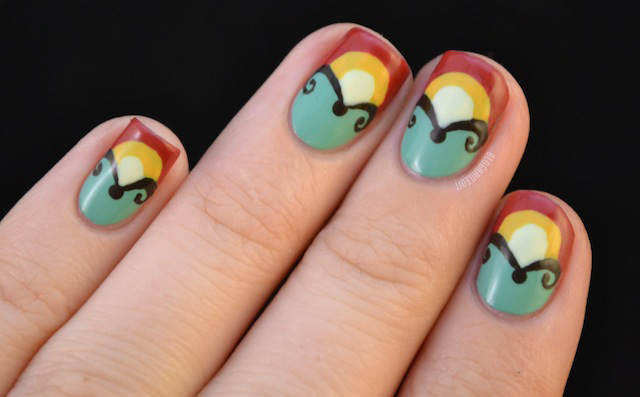 It's pretty obvious which part of the pattern is being shown on the manicure, but if I hadn't told you, would you think they were tiny mustaches? Here are the colors I used: Ancient Jade (ORLY), Load (Illamasqua), Get in the Expresso Lane (OPI), Pull Over (Sinful Colors), and Front Row Flasher (Sation). Ha! I don't think I would have noticed that! Beautiful manicure! I'm inspired!! Hehe, you know, until you mentioned it I didn't see the mustaches. Cannot unsee! Really though, this is gorgeous. Lovely colors. Great color choice, it's definitely something new! really pretty and I don't think it looks like mustaches! I didn't know ColourLovers yet, but at a first glance it looks like great inspiration! thanks! 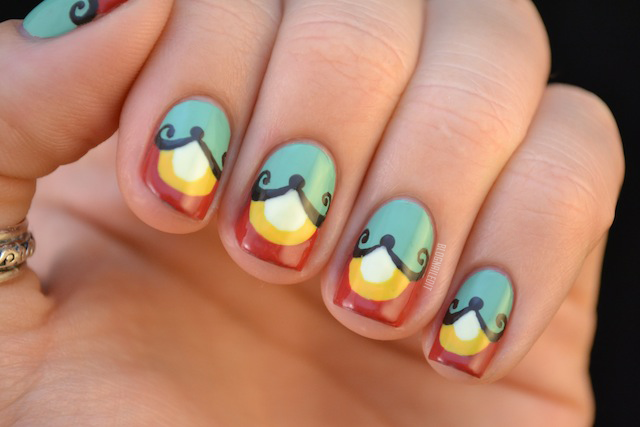 This is so cool (and yes, I immediately thought of mustaches!)!! You nailed it again :) Amazing design, stunning color combination! Your nails look amazing!!! Beautifully done!!! Those colors work so well together! Nice! Wow, I love this color combo and the inspiration is soooo pretty! Well done! I could easily see you doing a design like this. Oh my gosh I am in love with these nails! Excellent work.